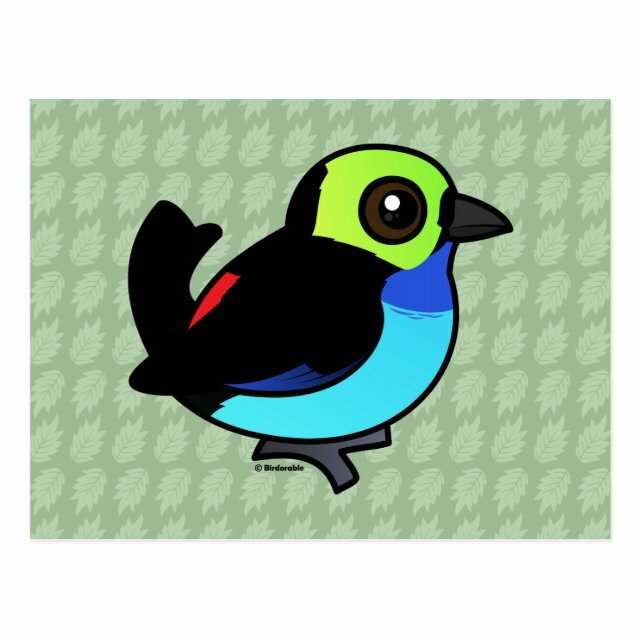 The Paradise Tanager is a beautifully colored songbird that lives throughout forests in the Amazon Basin in South America. Here is this striking bird in our unique Birdorable style! You can customize this gift. Move the tanager around, change the background color or style, add text or images -- make it your own!